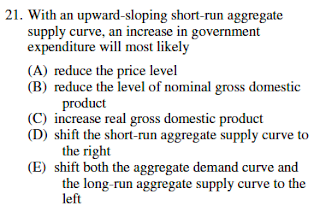 Aggregate Demand Cheat Sheet Here. 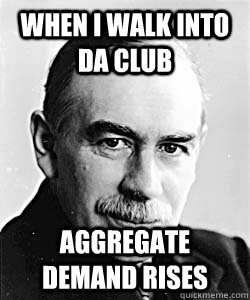 Let's step a bit back, If business men are to invest in investment projects they want cheaper rates of interest compared to higher rates of interest. So, all of the above except for (C) will increase investment. 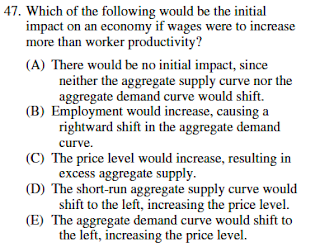 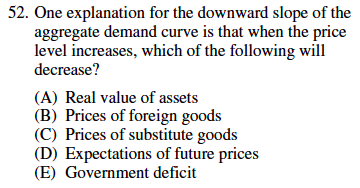 This is an equilibrium problem and you should have learned enough in the beginning supply and demand section of the course to be able to answer this. 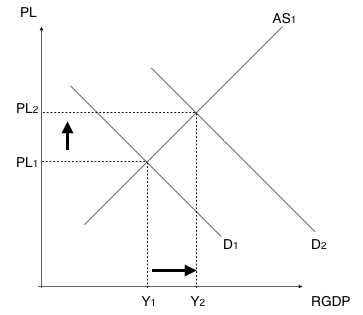 If income taxes increase, then people have less disposable income and will consume less, if (C) consumption decreases then AD will shift less, (decrease). 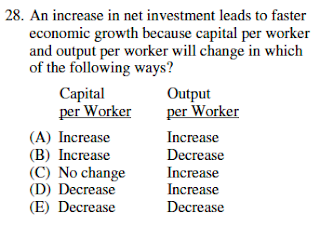 Understand that an increase in investment is an increase in capital formation, so naturally there is more capital per worker. 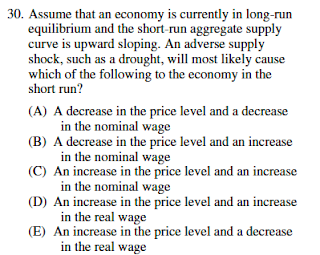 This sounds a lot like stagflation. 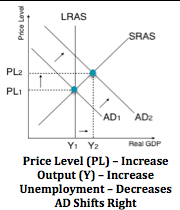 Wages increasing would affect the SRAS curve as wages are an input or resource costs for businesses. 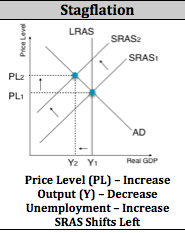 The SRAS curve shifts leftward. 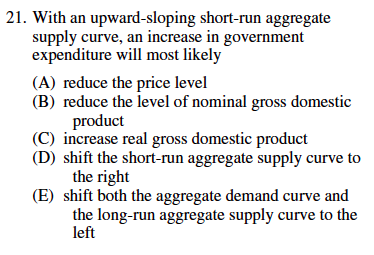 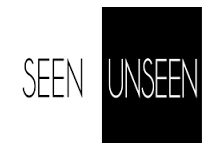 From the AD cheat sheet. As the PL (inflation) increases then each individual dollar spent looses purchasing power. 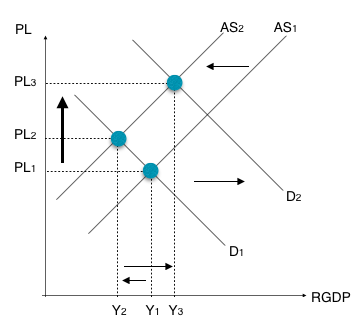 Purchasing power decreasing means that each dollar received can by less goods. 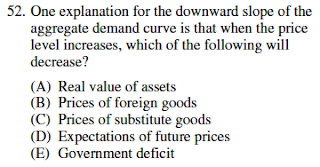 You might receive a higher amount of money for your asset (good) but with that higher amount you can actually buy less as the value of each additional dollar has decreased. This is the Wealth Effect - if prices (inflation) is rising the value of your assets are falling.